Regardless of whether you are buying your first home, upgrading to one that is a little larger or even downsizing, the current housing market has numerous opportunities on offer. This is thanks to the recent changes and relaxing of some mortgage requirements in the last quarter. However, even though the opportunities are plentiful in this regard, it will be highly beneficial for you to make use of a local lender when applying for a mortgage of any type. When shopping around for mortgages, it makes sense to stay local for a few reasons. Your home will probably be the biggest investment purchase that you will ever make, which means that you will need to work with someone you trust from start to finish. Although there may be many internet-based lenders available, they will not normally be able to provide you with advice such as local market expertise such as where the best neighborhoods are, which amenities are close to where you want to live and whether the crime rates in the area are anything to be concerned about. In addition, a local mortgage provider will be able to provide you with any much needed face to face support. When considering and shopping around for mortgages, one of the most important things to remember is that you need to obtain a mortgage product that is right for you – instead of something that has been recommended by an overenthusiastic lender or bank. 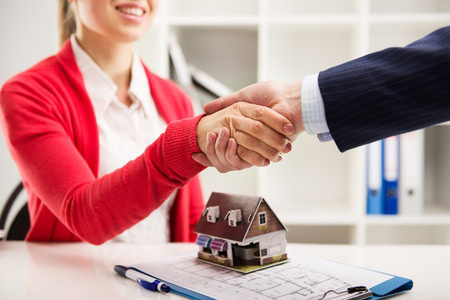 Working with a local mortgage lender will enable you to get high quality advice that is applicable to you – in a face to face meeting with them. An added advantage is that a local mortgage lender knows the local market, which means that he or she will be able to match you up with the right home as well as the right mortgage product. A preapproval letter is a document which confirms that a mortgage lender has verified that you have been approved for a mortgage loan of a specified amount over a fixed period of time. Having this document on hand will help eliminate much of the uncertainty that is normally experienced during the home buying process in that you will know exactly how much you qualify for by means of a mortgage. This also means that you will not have to deal with the heartache of viewing homes that you cannot afford to purchase – it will make the house hunting process easier for your realtor as well. When applying for a mortgage through a local lender, it is imperative that you supply them with all of the necessary information, as this will enable them to assist you as quickly as possible. If you would like to obtain further information about the benefits of using a local mortgage lender to finance your home purchase, feel free to get in touch with us as soon as possible. This entry was posted in Blog and tagged local mortgage, local mortgage officer by Scott Li. Bookmark the permalink.